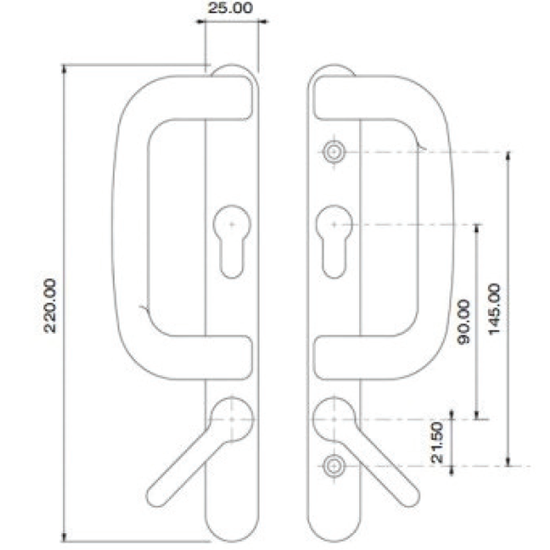 Inline Patio Door Handles - DGS Group Plc. 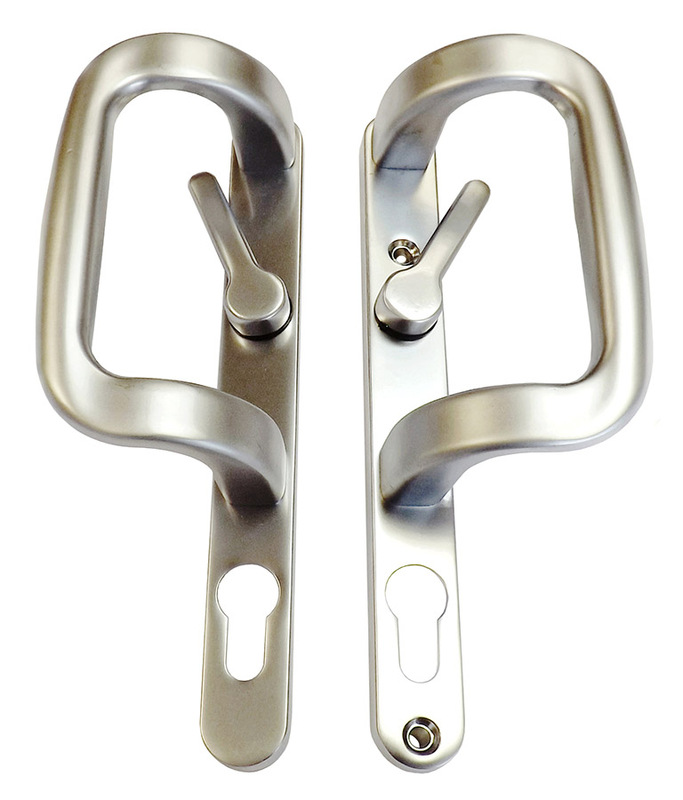 This inline patio handle offers a sleek, stylish design. 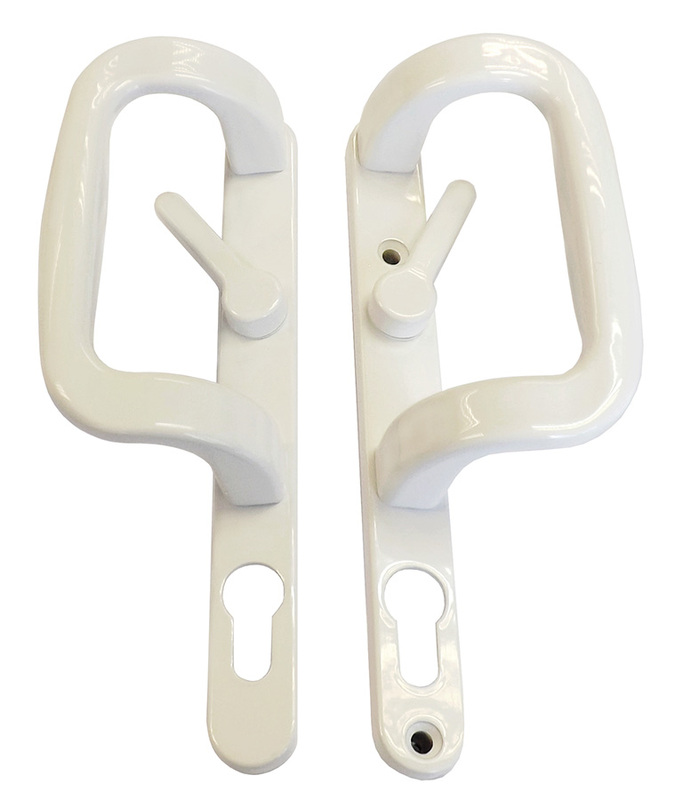 The symmetrical grip means it is suitable for left or right handed use, helping you to reduce inventory while the 10 year guarantee indicates the quality of the product. 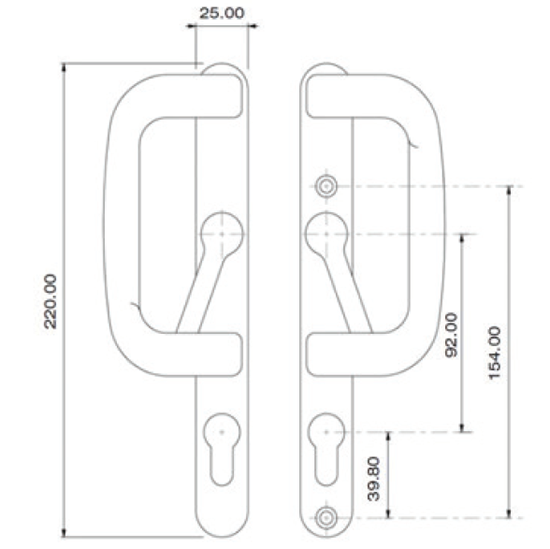 To suit door thickness of 60mm. Symmetrical grip so it can be reversed for left or right hand usage. 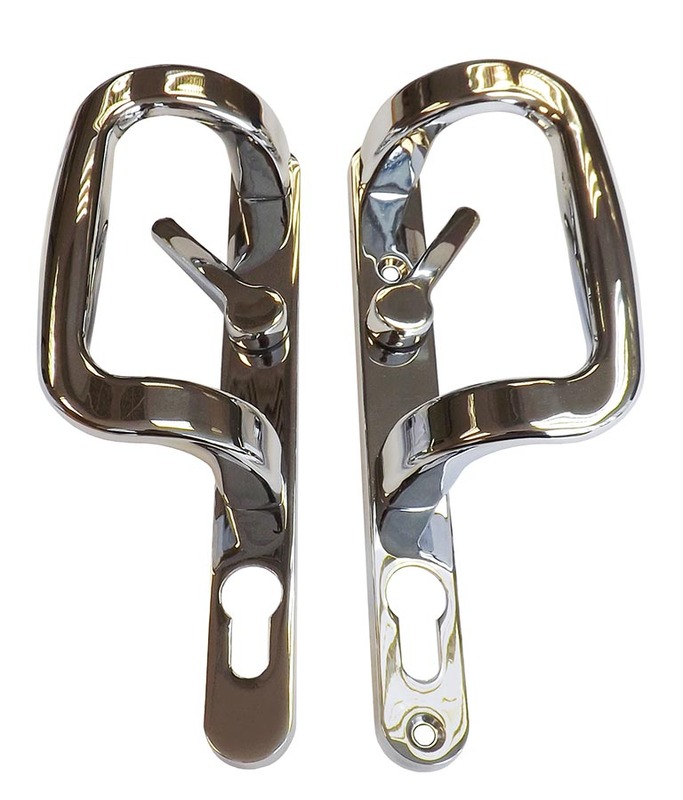 Available in a choice of finishes including white, gold (PVD), chrome, black and satin silver. 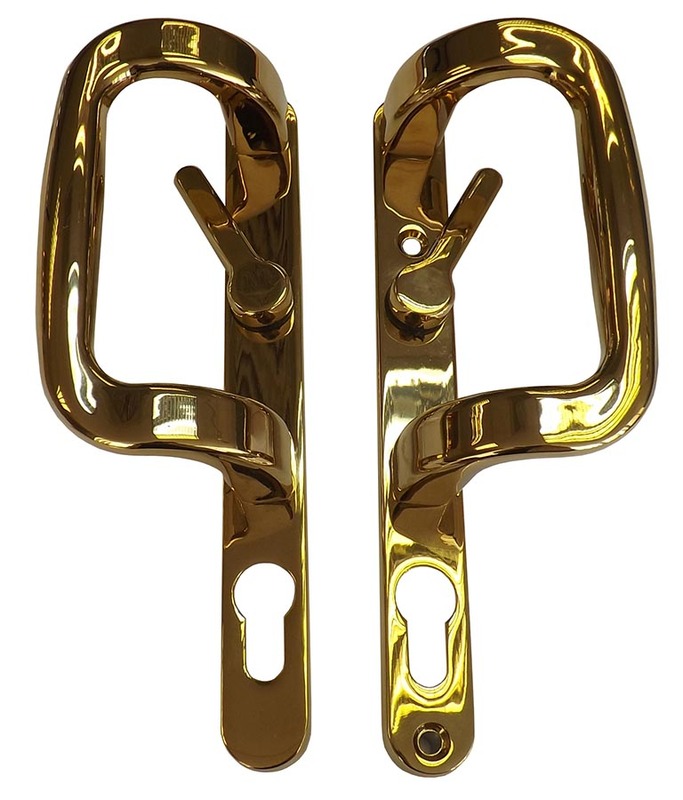 Suitable for most locks. Special version compatible with Fuhr available.